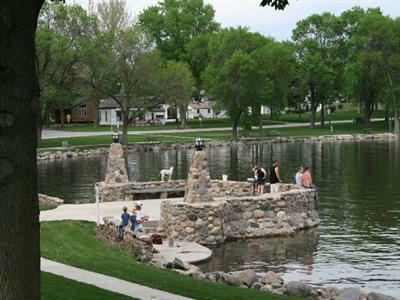 From fun on the lake to romps through the open prairie, Camp Crescent in Lake View, Iowa is a fabulous place to spend a family camping vacation. 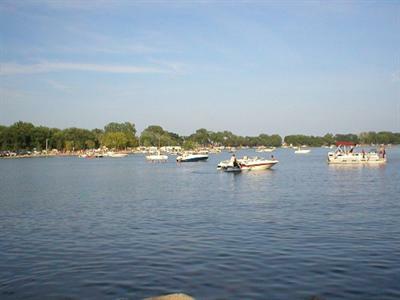 Join us for days of boating and fishing on Black Hawk Lake, touring local attractions, biking along the Sauk Rail Trail, and sports and picnics in one of Lake View's many public parks. Whether you tour the historical museum's log cabin or spend your time looking at wildlife and wildflowers, you'll find plenty to love about our corner of Iowa. 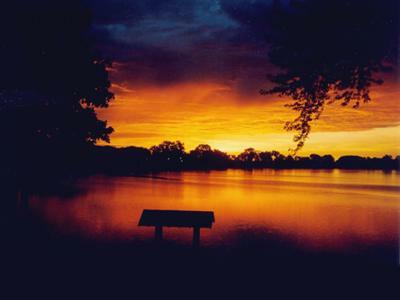 Anyone who loves water sports will enjoy a trip to Black Hawk Lake. Four boat ramps (at 30 Acres, Ice House Point, Marina on the North Shore, and next to Crescent Beach in Town Bay) give access to the lake, so you can get your runabouts, deck boats, pontoons, fishing boats, wave runners, sail boats, catamarans, kayaks, canoes, and paddle boats into the water. If electric troll motoring is more your speed, head to nearby Arrowhead Lake for a quieter experience. On either lake, be sure to cast your lines for walleye, crappies, bullheads, catfish, bass, and bluegill. Many visitors enjoy watching our local wildlife. From deer, pheasants, and cottontail rabbits to eagles, waterfowl, swans, and pelicans, you'll find plenty to look at. Head to Ice House Point to watch for eagles or visit Provost Slough and Cottonwood Point to look for pelicans and other lake birds. If a day on the trail is what you're after, just head to the 33-mile long Sauk Rail Trail or the self-guided natural walk through the Black Hawk Game Preserve on Stub Severson Trail. You'll also have a great time golfing at the 9-hole Sac County Golf & Country Club and the Breda Golf Course. The area around Camp Crescent has plenty of public beaches for swimming, volleyball, and relaxing. We even have our own beach right here in camp! And you'll have a great time attending our local fairs and festivals, from the April Pelican Fest to the September Camp Crescent Halloween-in-September event. Join us in May for our City-wide Garage Sales, in June for the Sip-n-Sample Wine Tasting, and in July for the Annual Summer Water Carnival.